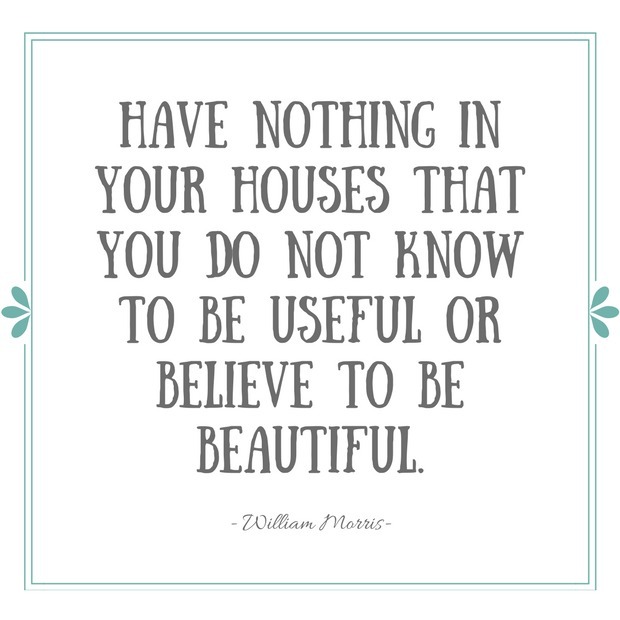 Is your home disorganized and cluttered? The whole family can follow these simple home organizing guidelines to keep your home looking neat and orderly. Lately, I’ve been going through our closets, storage rooms, kitchen and entryway, purging and re-organizing everything in an effort to get ready for summer. Our son’s room is next on the list, as he just returned home for his break from university for the next four months. Any changes we can make to help him stay more organized over the summer will definitely be helpful. He’s tends to be on the messier side, especially when it comes to his clothes. Setting up a system that’s tailor made for him will be a life saver for all of us. After working hard the past few weeks to get everything looking great and functioning well, my goal is to keep it that way for as long as possible. I’d say I’m more relaxed when it comes to our home throughout the summer. However, the mess tends to gradually build up to the point where I begin to lose my mind. Usually that’s about the time he’s returning to school and I’m ready to get back to organizing and decorating anyway. To keep things on track, there are a few rules or guidelines I like to follow (and try to get my family on board too) that have made a huge difference in the way our home operates from an organizational standpoint. For the most part, we’re able to keep the clutter to a minimum. Perhaps these home organizing tips will help you and your organizing-challenged family members do the same. It’s worth a try, right? 2. Schedule regular de-cluttering sessions rather than one big purge or clean-out per year. Breaking it up, say quarterly, makes it way less overwhelming. My husband and I help each other go through our wardrobes each season. We try our be open minded when it comes to each other’s opinions rather than holding onto those “someday” items. Trade time with a friend if that works better for you. Do the same with each kid in your family for their clothes, sports equipment and other items they may have outgrown. Training them early is essential to develop good habits (although they go away, come back, and seem to have forgotten everything !). 3. Dedicate a specific box or bag for items you’re ready to part with, whether it’s clothing or other household items. I have a large shopper bag for donations that I keep in my office, as well as a box in the garage. When I visit my local thrift shop, they go with me. Recently, I gave away quite a few dishes I hadn’t been using very often to help keep our kitchen cupboards more functional and tidy. 4. Walk away from bargains and buying too much in bulk. While grocery shopping, I only stock up on two months worth of items maximum. We’re only a family of three meaning a case of some canned items lasts way too long. I don’t like forcing myself in to finding alternative storage room outside our pantry. It may cost less financially to purchase the case, but the clutter causes me too much grief. As well, buying too much food at one time usually results in more waste. Instead, plan meals ahead of time and then shop for food. 5. For every item in, one should go out. This rule has a few exceptions (such as jewelry! ), but for the most part is a great one to follow. If your closet is already full and you buy a shirt, one should go into the donation bag. Another solution is taking items to a good consignment shop. I find it really makes you think about whether or not you need something new. Don’t fall for the “buy 2, get 1 free” trap unless you really need it! 6. Keep clutter from entering the house in the first place. We have a recycling bin outside that we throw “spam” mail into before entering the house. Many of our bills are sent via email to cut down on paper clutter as well. 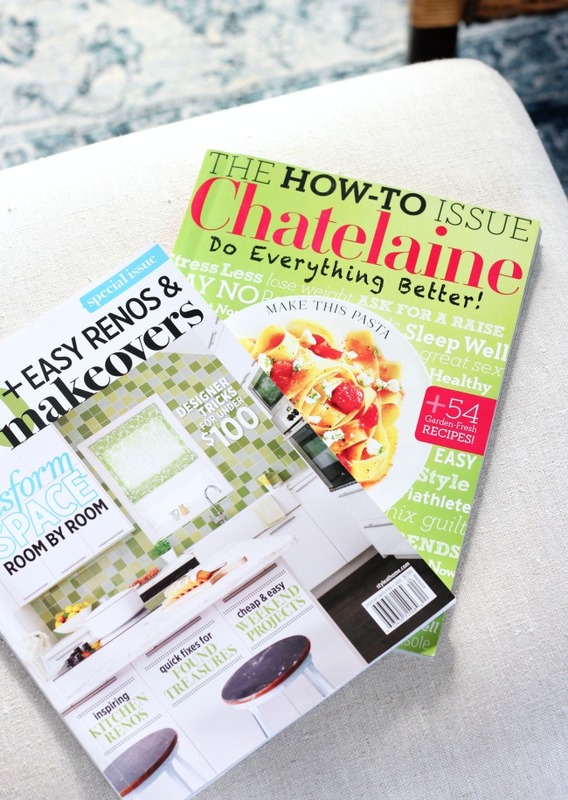 Ask yourself if you really need that magazine subscription or newspaper delivery. If so, limit it to one or two favourites. 7. Have a dedicated place for everything, and keep everything in its place. Invest in organizers and containers for every room in your home. We have a fairly small closet, so we store seasonal clothing in containers under our bed. 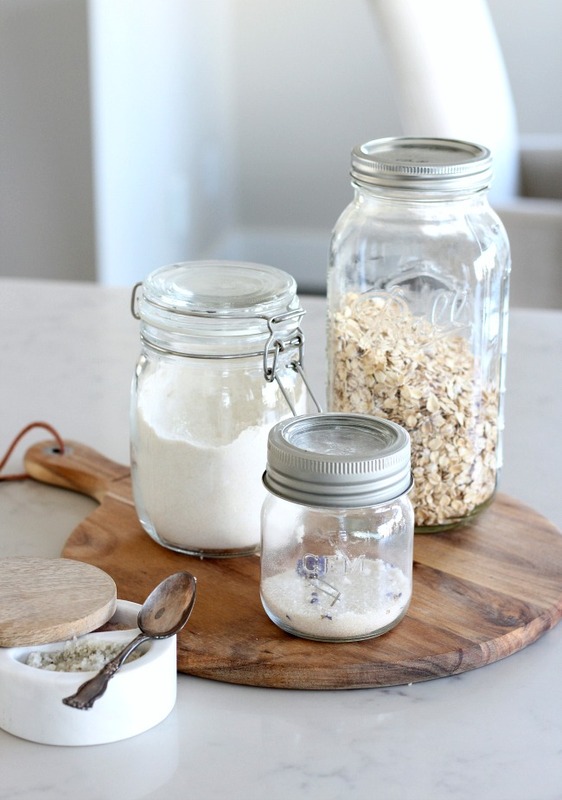 In the kitchen, we transfer most pantry staples into jars or canisters. 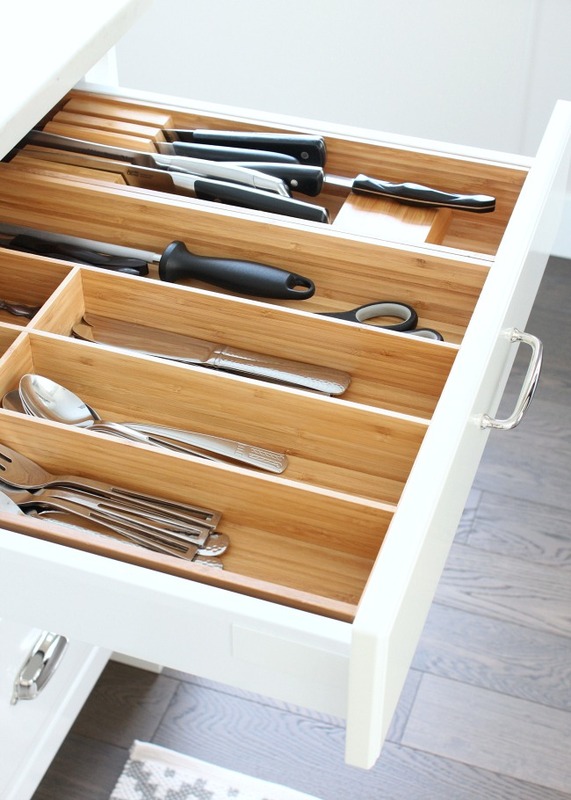 We also have IKEA kitchen drawer organizers for our utensils and gadgets. Our Christmas decorations are stored in plastic bins in the basement. Make a list of your problem areas and find solutions for each one. It’s a game changer! To prevent the same old habits from leading you right back where you began, it’s important to continue the mindset you had that initially sparked the idea to get organized in the first place. Although there are so many more ways to keep your home organized, I find these are some of the easiest “rules” to adhere to with the biggest results. I’d love to know what you do to stay organized after going through all of the effort to get there. 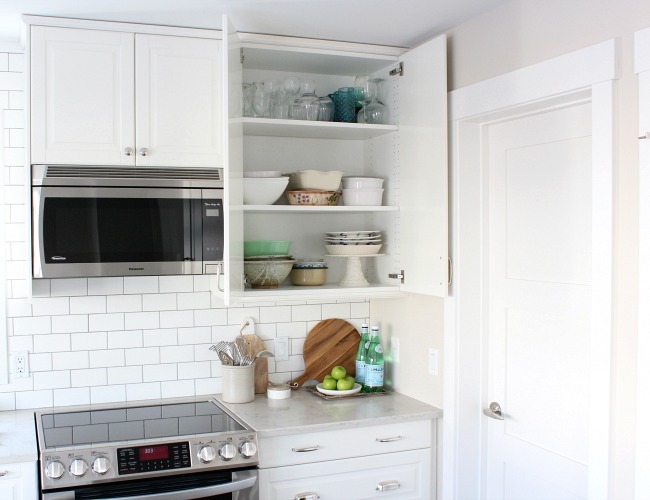 What’s your biggest challenge when it comes to home organizing?